It was week 6 of the Gfinity Elite Series Delivered by Domino's, and it was time for teams to either head to the finals, or head home! 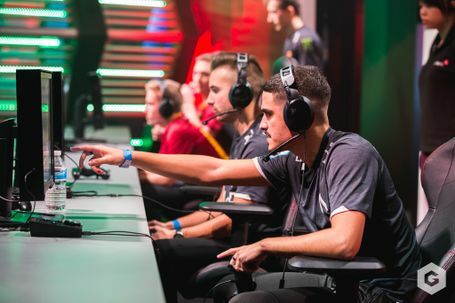 With Manchester City Epsilon, Roma Fnatic and Team Envy already qualified, three spots remained for the Grand Finals, and it was all or nothing for all of the teams participating. It was a MUST WIN for Vitality in the opening match of the evening and Brian and Moolzn wasted no time at all putting down Envy in a thrilling 3-0 opener on the Xbox leg. A harder task loomed in game 2 as the Vitality pair faced the unbeaten duo of Jas and Wavesz. 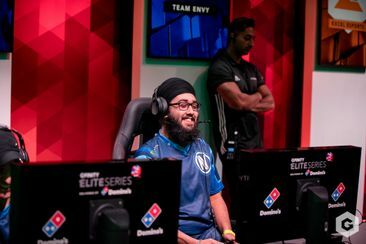 Envy held on for a 1-1 draw and Vitality waited nervously for the results of the remaining match ups. Crowd favourite underdogs, Dreamteam, faced exceL needing to win both matches to remain in the competition. It was heartbreak for Bullock and the boys as exceL’s defines held against their onslaught and a disappointing 0-0 draw put them out of the competition. The morale deficit proved too heavy in game 2 and the boys in red slumped to a 3-0 defeat at the hands of a collected exceL side. Vitality were also eliminated. The final match of the night proved the most exciting and nerve wracking. Fnatic were safely through but Hashtag were out for blood and that vital finals spot. The first game stopped abruptly after a technical issue with Hashtag 2 ahead. At the reset, with Hashtag put back to 1-0 Fnatic manage to pull off a last minute fluke goal - putting Hashtag’s tournament progression in jeopardy. The final game of the night saw the red mist descend for Hashtag and they end the climactic game with a 1-0 victory and a ticket to the Elite Series finals.